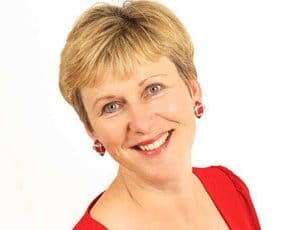 Adrian Furnham is a renowned business speaker at corporate conferences and an authority on psychological management and mental health in the workplace. Our keynote speaker Adrian Furnham is approachable, well-informed, and entertaining. 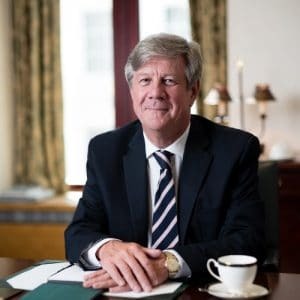 Our exquisite speaker Adrian Furnham was educated at the London School of Economics, and at Oxford University where he completed his doctorate (DPhil) in 1981. Previously a lecturer in Psychology at Pembroke College, Oxford, he is currently Professor of Psychology at University College London. He has lectured a great deal abroad at, amongst others, the University of New South Wales, as well as the University of the West Indies. From 1999-2001 Adrian was the Visiting Professor of Management at Henley Management College, and he was Visiting Professor at the Hong Kong University Business School. Proving an innate talent for behavioral sciences, the keynote speaker Adrian Furnham has written a wide selection of books on leadership and management including Culture Shock (1994), The New Economic Mind (1995), Personality at Work (1994), The Myths of Management (1996), The Psychology of Behaviour at Work (1997), The Incompetent Manager (2003), The People Business (2005) Personality and Intellectual Competence (2005) Management Mumbo Jumbo (2006) and Just for the Money (2006). Adrian Furnham is also a Fellow of the British Psychological Society and has been ranked the second most productive psychologist in the world 1985-1995. He is on the editorial board of several acclaimed international journals. Adrian is the current elected President of the International Society for the Study of Individual Differences. Additionally, he is the founder director of Applied Behavioural Research Associates (ABRA), a psychological consultancy. Our speaker Adrian Furnham regularly writes for the Sunday Times as well as the Daily Telegraph and is a regular contributor to international radio and television segments. Furnham has advised numorous multinational corporations including Cathay Pacific Airways, Barclays Bank, Marks & Spencer, Air New Zealand, Channel Four, and the Ritz Hotel. In 2007 he was nominated by HR magazine as one the top 25 Most Influential People in HR. Like Noel Coward, the keynote speaker Adrian Furnham believes work is fun and considers himself a well-adjusted workaholic. He rides his bicycle to work (as he has always done) and does not own a mobile phone. He was very interesting and funny; impressive background.